The Tall Niagara mirror polished, stainless steel wave water feature will look equally stunning outdoors or indoors. 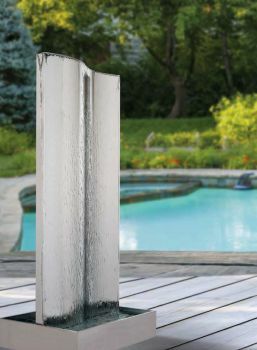 Bubbling water shimmers down the stainless steel to create a relaxing effect. Complete with 230 volt pump and 10 metres cable. 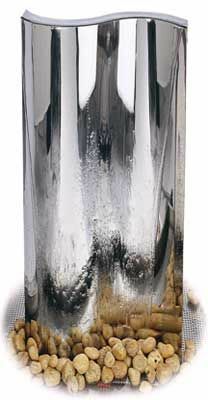 Optional stainless steel reservoirs available (not supplied). Dimensions: 1200mm tall x 450mm wide.